Sterling Silver / 14K Gold Diamond Heart Pendant w/ Chain.Price includes 30% discount. 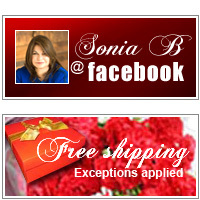 This multi-dimensional design is truly elegant and timeless, a must-have Sonia style. 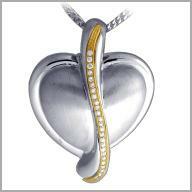 Crafted in polished sterling silver, this heart pendant has a 14K yellow gold swirl that creates a memorable presence. The addition of 24 full round cut diamonds make this design a dazzling masterpiece. The total diamond weight is approximately 0.12ct with a color of H-I and a clarity of SI1-3. It measures 3/8" x 15/16" and includes an 18" curb chain with a lobster claw clasp.